The ProFX16 is the clear solution for any mid sized venue or band that needs great sound, but doesn’t have the budget or space for tons of outboard gear. 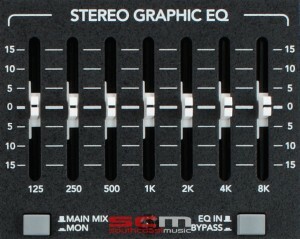 To lose the rack, built-in tools like compression and graphic EQ are crucial. The ProFX16 has everything needed to make your gig sound great and is really easy to operate. Plus, USB I/O lets you record the show or stream music straight from a laptop. The “Pro” in ProFX stands for Pro. Professional tools, rugged build quality, space-saving footprint…everything you need. The ProFX16 is loaded with 10 Mackie low-noise mic preamps, 3-band EQ with sweepable mid, integrated “Gig-Ready” effects, precision 7-band GEQ and more. It has all the right tools, each and everyone designed to sound great. Perfect for portable applications, the ProFX16 is housed in an ultra-tough enclosure with impact-resistant side cheeks. Plus, road warriors can simply rack-mount the ProFX16 for additional protection. 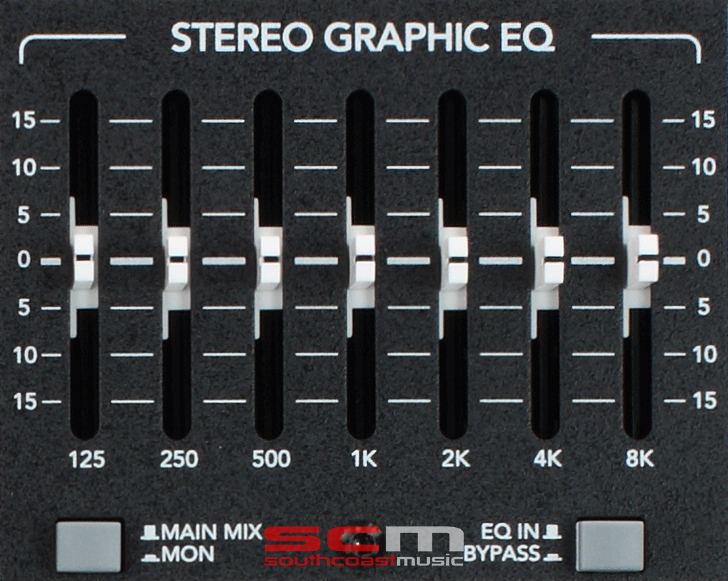 High-headroom mic preamps with great-sounding effects, channel EQ, a built-in DI, plus precision GEQ to tune-up the room or monitor mix. The ProFX16 comes with all these features – it is truly the perfect live sound toolbox. 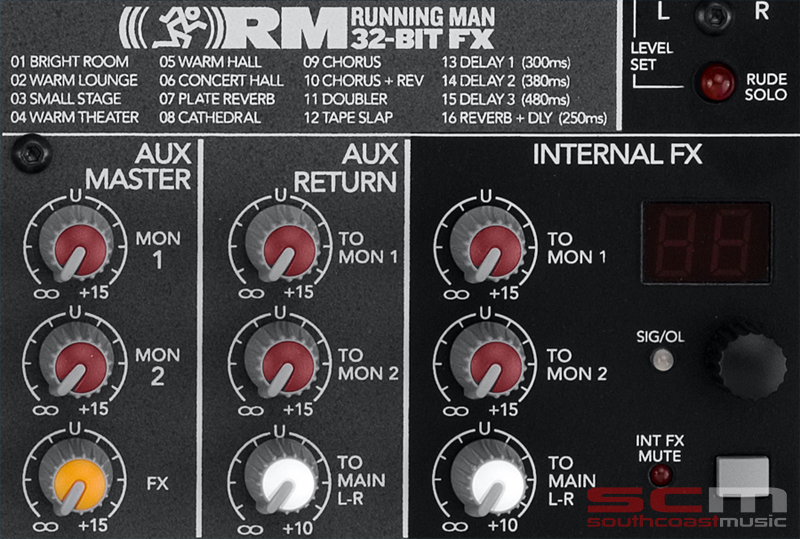 The all-new RMFX™ (Running Man FX) 32-bit effects processor brings “Gig Ready,” useable effects to your mixes. 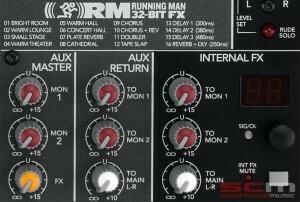 The RMFX™ processor features 16 solid FX that are known for their utility and usability. Small, medium and large room reverbs with a mix of warm and bright characteristics puts your mix in the right space. Simple, rich choruses and an array of practical delays enable you to create professional mixes without requiring a two-hour sound check. 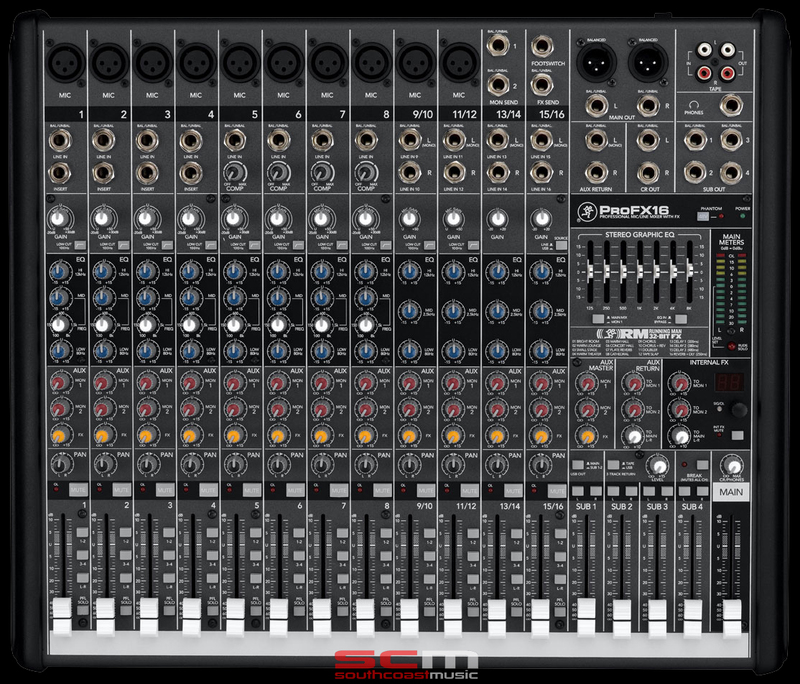 Basically, Mackie has delivered the choicest parts of a full rack of gear, right at your fingertips, that is easy to master, allowing you to look and sound really good at your next gig. Really, really good. Compressors are a critical tool for both live sound and recording. The ProFX16 features four dedicated in-line compressors, delivering simple, sweet dynamic control with the single twist of a knob. Use the compressors on channels 5-8 for vocals, bass or anything that’s dynamic and needs to sit a little better in the mix. Finally, you can stop obsessing about the vocal level and riding the fader like it’s going out of style. With all the right tools for the job, the ProFX16 allows you to create memorable mixes, but even with all those features, portability is paramount and you can’t be burdened with lugging around additional equipment. No worries, integrated USB I/O takes the pain out of recording. Just connect the ProFX16 to a laptop, start up your included copy of Tracktion 3 Music Production Software (or almost any DAW software out there) and you can record the whole mix. You can even stream music from your laptop during breaks. Once you get home, record more tracks or use the ProFX16 to playback some tunes during your next party. 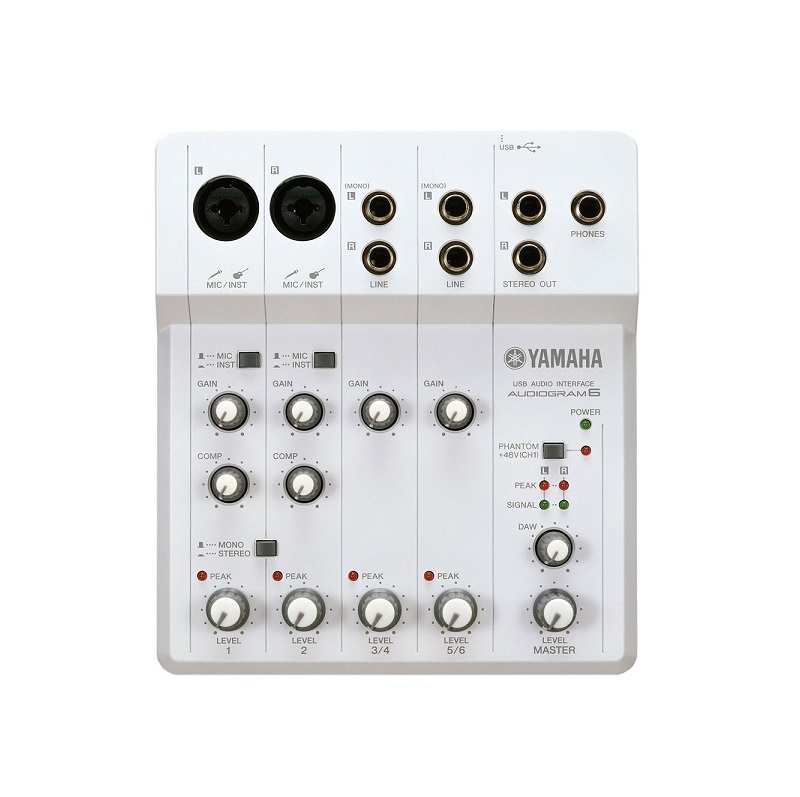 With a push of a button, you can route your USB return through channels 15/16, allowing you to apply some EQ or easily integrate performance software into the set. Just stream the output of your performance software into the ProFX16. Combine that signal with anything plugged into the mixer, and send the whole thing back to the computer for recording. Archiving your integrated live performances has never been easier! 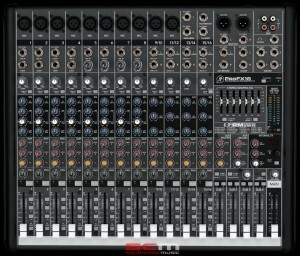 Mackie is known for building mixers that are “Built-Like-A-Tank”, and the ProFX16 is no exception. All of its tender bits are securely encased in a solid steel chassis. No only that, the impact-resistant sidecheeks are made of ultra-tough ABS, adding extra protection where it is most likely to fall…not that you drop things. 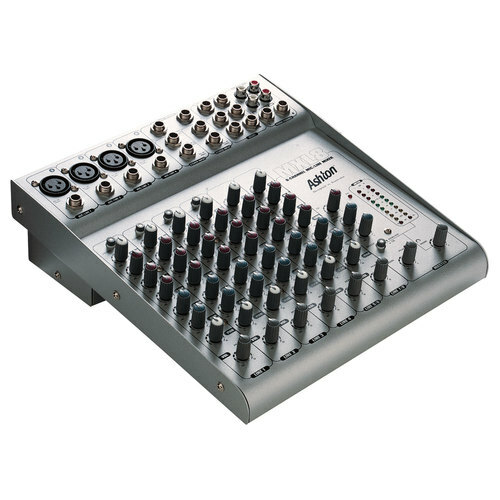 The ProFX Series Compact Effects Mixers strike the perfect balance. 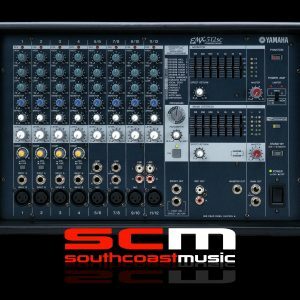 They offer all the right tools to get the job done well, sport the popular compact footprint that Mackie is known for, and are also the most budget-friendly of all the Mackie sound reinforcement mixers. You are investing in your mixer and the ProFX will be there for you at every gig, ready to roll.